The scheduled hard demo work of the building section highlighted below between north and south Storm Hall will be starting tomorrow, Friday, 9/21. In an effort to minimize noise disruptions sounds blankets have been installed on site. The sequence of work for this will be about two days, starting tomorrow and into this Saturday as well. As part of the Storm Nasatir construction project, preparations are being made to have a few site related construction maintenance items in place prior to the beginning of the Fall semester on August 27. 1. PS8 3rd Level Access: The team is coordinating with the contractor to have them wrap up the underground utilities work in this area, pull back the construction fencing and provide a pedestrian walkway to PS8 3 level. The goal is to have this in place the week of August 20. 2. ADA path at temporary restroom facility: this work is tentatively scheduled to start this Thursday, Aug. 16. The work should only take 1-2 days to complete. In an event the work does not start this week it will be rescheduled to beginning week of Aug. 20th. 3. 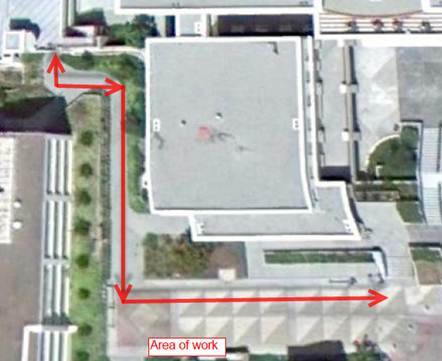 Pedestrian walkway directly south of Storm and Nasatir Halls: The goal is to have this scaffolding and pedestrian walkway in place the week of Aug. 20 to accommodate 2-way traffic through this area. 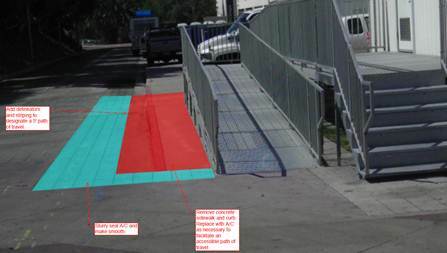 We are coordinating with the contractor to build an ADA compliant pedestrian walkway as wide as the site will allow. There will be access to/from the lower outdoor dining area and entry/exit of West Commons to the pedestrian walkway. For your viewing pleasure, there are two webcams positioned to track the progress of the Storm Nasatir Hall Renovation Project. You can check them out here. Renovation to Storm and Nasitir Halls continue as hard demolition begins today, July 26. 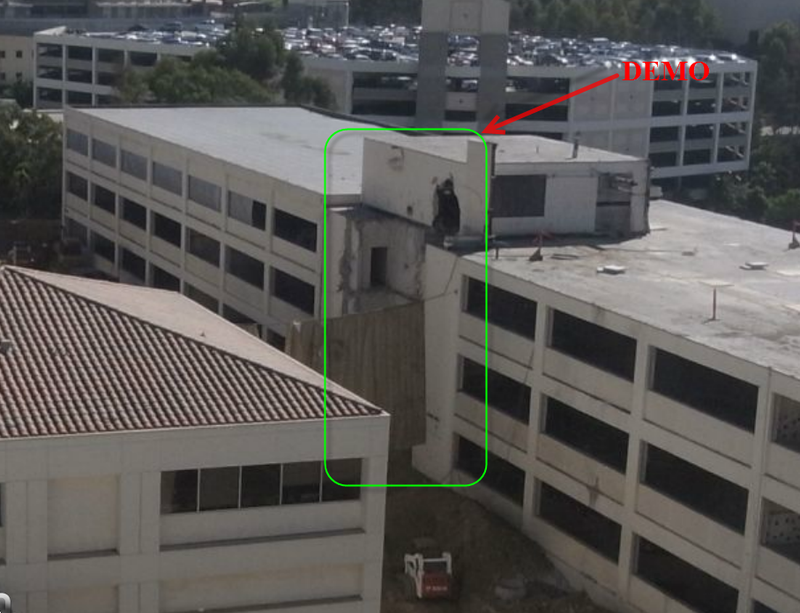 Over the next three days demolition will occur on the section of the building that connects Storm and Nasitir Halls. In an effort to minimize noise disruptions, sound blankets have been installed on the north and west side of the demolition. Demolition on this section will conclude on Saturday, July 28.